If you're considering visiting Moonta, you have to start planning weeks in advance. There's only 1 hotel within 10 kilometres. The Port Hughes Tourist Park might be your only option if you have your heart set on staying near the hustle and bustle. If you find yourself needing more accommodation options in Moonta, look into the Wallaroo Marina Apartments and the Anglers Inn. They are located 17 kilometres and 16 kilometres away from the city's main streets. 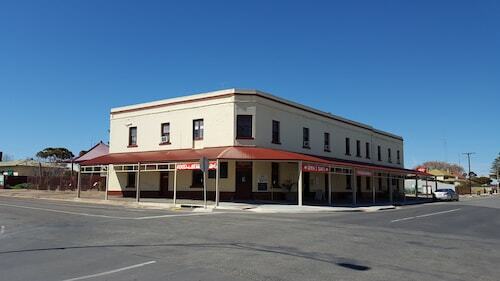 If these two aren't what you're looking for, you can try the Redwing Shearer's Quarters or the Kadina Gateway Motor Inn. Clare Valley - Yorke Peninsula has many other great things to see and do. Clare Valley - Yorke Peninsula is blessed with rural landscapes, along with commonly visited Clare Valley - Yorke Peninsula attractions like the farms and open-air markets. In this part of Australia, visitors may also go shore fishing. If you'd like to go to some close by localities, check out Boconnoc Park and Stansbury. Head 95 kilometres to the east of Moonta and you'll locate Boconnoc Park. Alternatively, Stansbury is 95 kilometres to the south. Hotels and apartments in Boconnoc Park are the Brown's House Bed and Breakfast and Patly Hill Farm. The Oysta La Vista and Stansbury Holiday Motel are some of the better ones in Stansbury. Whyalla Airport can be found 110 kilometres from central downtown Moonta. If you wish to stay close by, you can easily secure a night at the Best Western Alexander Motel Whyalla or the Airport Whyalla Motel. How Much is a Hotel Room in Moonta? 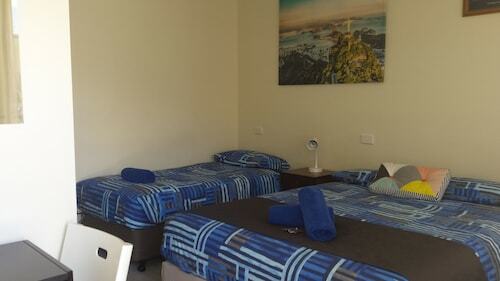 Hotels in Moonta start at AU$70 per night. Prices and availability subject to change. Additional terms may apply.